We are often asked which insurance plans we accept. 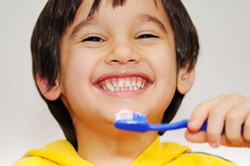 To enable us to reach as many children as possible we participate in most dental insurance programs, but we recommend that you call our office so we can verify your plan and its benefits. Remember: all dental appointments in Pennsylvania constitute legal excuses for school absence. We will provide your child with the appropriate legal excuse.